It's early summer, and things are really heating up between Garry Wallis, star of Lacrosse Face-Off, and his nemesis, Michael Donofrio. At the end of last season, Garry sabotaged Michael's chances of becoming the league's top scorer. Now Michael is taking his revenge. He's got plenty of opportunity, too, for the Rockets are taking part in a week-long lacrosse tournament held at an overnight camp. Garry tries to ignore Michael, but the bullying finally gets to him-and what happens next sets off a string of near-disasters that finds Garry in the heart of a firestorm . . . 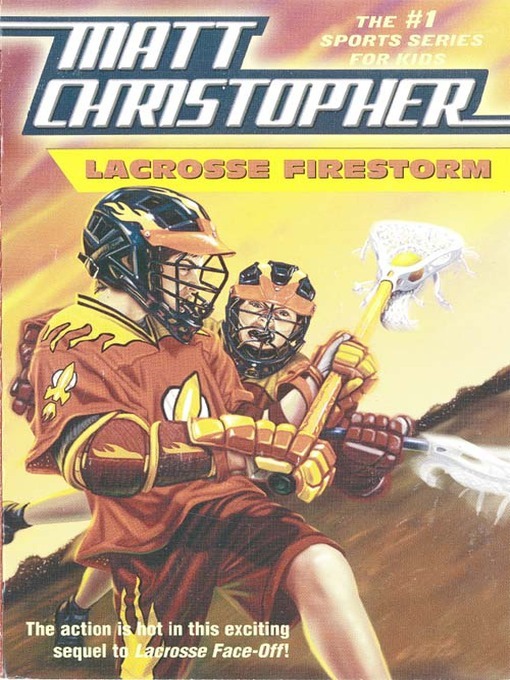 This latest installment in Matt Christopher's bestselling series combines all the lacrosse action and mystery his fans crave.